Pipeline - problema Lab. FIC An03.Sapt04. 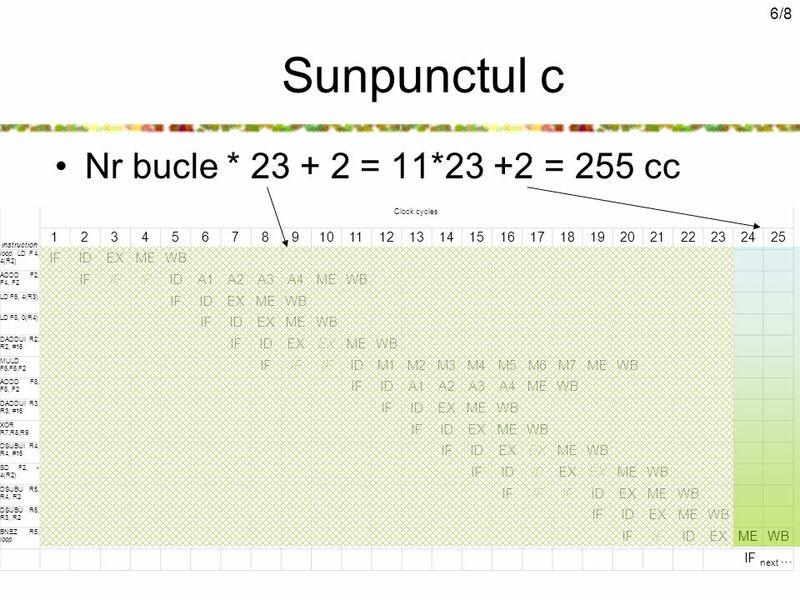 2/8 Text problema Se da următorul cod scris in limbaj de asamblare MIPS. 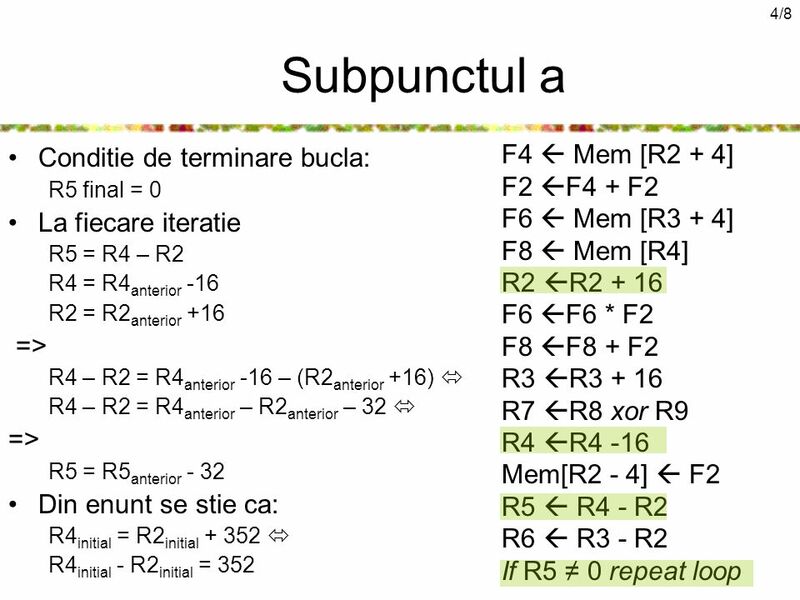 Ştiind că iniţial: R4 = R2 +352 Se. 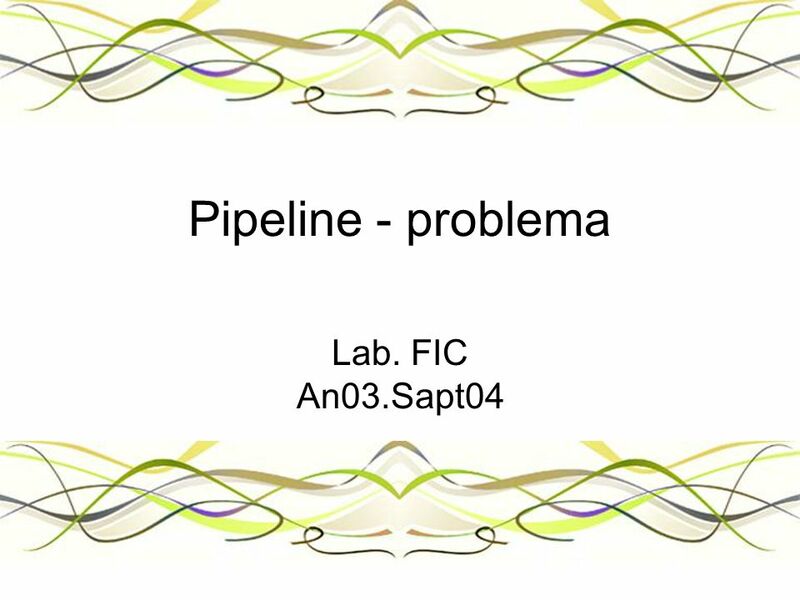 Download ppt "Pipeline - problema Lab. FIC An03.Sapt04. 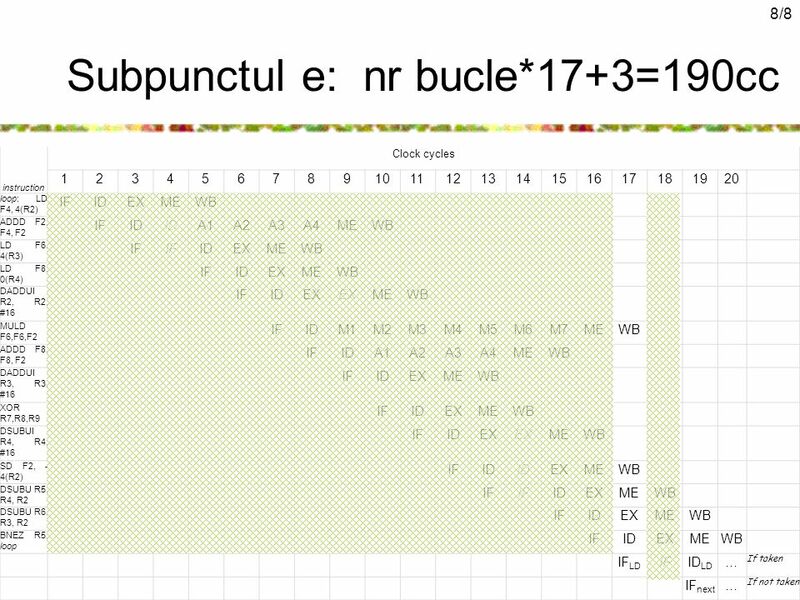 2/8 Text problema Se da următorul cod scris in limbaj de asamblare MIPS. 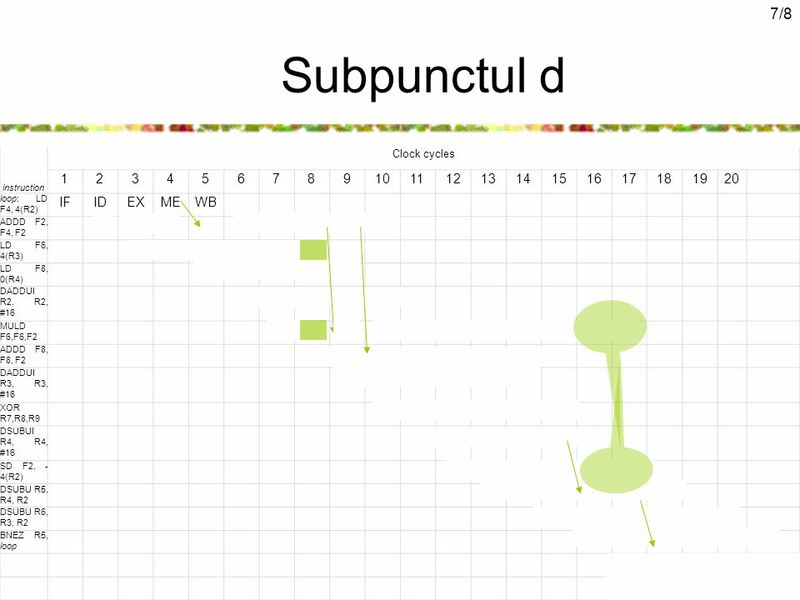 Ştiind că iniţial: R4 = R2 +352 Se." 1 Pipelining(2) CDA 3101 Discussion Section Question 1 Identify all of the data dependencies and necessary forwarding in the following code. No. Tor Aamodt EECE 476: Computer Architecture Slide Set #6: Multicycle Operations. 1 ECE369 ECE369 Pipelining. 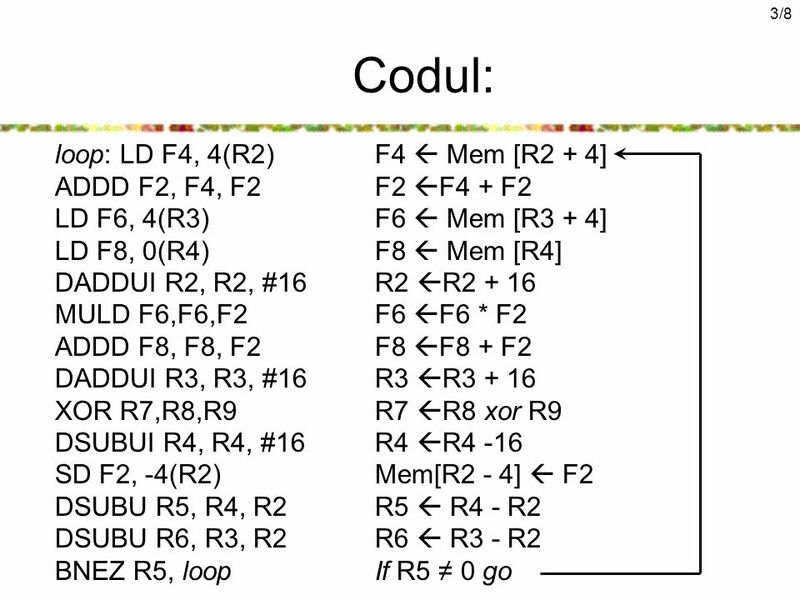 2 ECE369 addm (rs), rt # Memory[R[rs]] = R[rt] + Memory[R[rs]]; Assume that we can read and write the memory in the same cycle. Delayed Branching Explained Winter, 2005 Print a copy of these and handout, not the old one. School of Engineering & Technology Computer Architecture Pipeline. Lecture 8 Dynamic Branch Prediction, Superscalar and VLIW Advanced Computer Architecture COE 501. Lec ECE 463/521, Profs. Conte, Rotenberg and Gehringer, Dept. 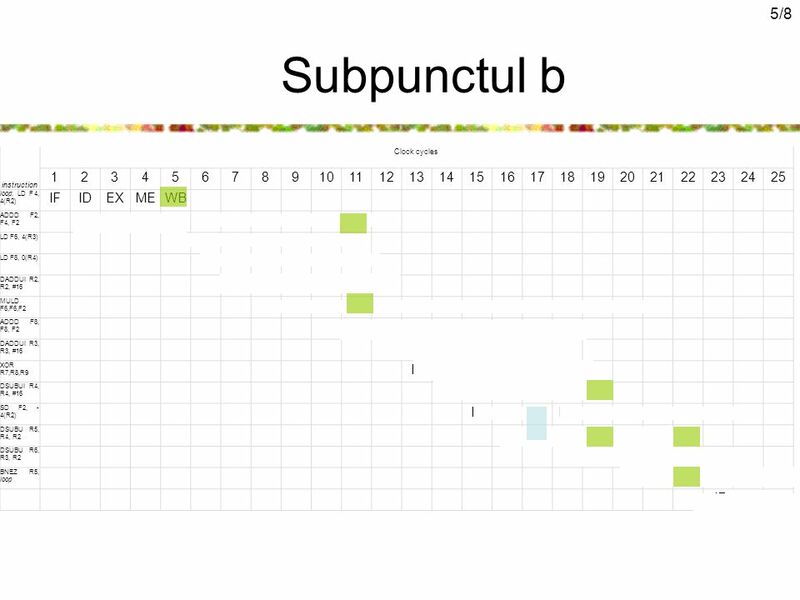 of ECE, NC State University Static Scheduling Techniques m Local scheduling (within. MIPS Assembly Language CPSC 321 Computer Architecture Andreas Klappenecker. Lecture Objectives: 1)Define branch prediction. 2)Draw a state machine for a 2 bit branch prediction scheme 3)Explain the impact on the compiler of branch. Kevin Walsh CS 3410, Spring 2010 Computer Science Cornell University Pipeline Hazards See: P&H Chapter 4.7.